Of all the personal products out there, sun care and choosing the safest and best sunscreens for ourselves and our family presents the greatest number of questions and challenges for those of us who are holistically minded. For the purists out there, you might consider following the advice of Giselle Bundchen who was quoted on the topic of sunscreen in the UK’s Daily Mail, “I cannot put this poison on my skin… I don’t use anything synthetic.” If you are of this mind, there are options in addition to protective apparel and self-imposed hermitage. Although I already discussed the organic sunscreen myth in my previous article, there are some fantastic all natural products out there as well as some that get a little help from the lab. I love each of these products for different uses. When choosing, I have to think of my need and use in two categories: everyday use and occasional use. When I think of everyday use, I am referring to walking around, driving, running errands, playing tennis, going on a hike, or hanging at the pool. For these types of days I recommend a physical sunscreen with all natural ingredients. This means that the active ingredients will be titanium dioxide and or zinc oxide and the “non active ingredients” will be items you can pronounce such as, shea butter, coconut oil, jojoba oil, aloe vera gel, green tea and others. Green Tea both topically applied and consumed has some fantastic lab studies showing how well it fights cancer and helps repair damage due to UV over exposure. For everyday use, for the face and body, I really like Vive Sana’s hypoallergenic SPF 42 baby block. Yes! You can even use it on your six month old. Heck the owner does. This can be purchased at Vivesana.com. For body especially, I am a fan of Chocolate Sun. They even make some fun self-tanners that are getting rave reviews. The body care can be purchased at Natureofbeauty.com. Both of these are great for moisture and everyday sun protection. And like all sun care, they must be reapplied regularly throughout the day. For the days when you are frolicking at your favorite exotic waterfall, spending the day at the beach or doing something extreme involving long periods of time in the water like snorkeling or kayaking, your best protection is unfortunately a combination of both a physical block and some help from the chemist’s lab. Don’t let this give you the icks, just be smart about it. You are facing a trade off. The down side of occasionally using a less than totally natural sun block in addition to protective clothing is far smaller than the damage you would do to your skin with a burn. For days when you have to use more intensive sun protection, make sure to use a good moisturizer on your body and face first before applying sun block. At the end of the day, make sure you give yourself a good heavy-handed cleansing and moisturizing. For face, I am a huge fan of Dermalogica’s Super Sensitive Faceblock SPF 30. It’s fantastic for sensitive skin boasting calming and balancing green tea, lavender, licorice extract and sodium hyaluronate. This stuff makes me wish I didn’t have to kick my less than natural product habit. It’s that good and it wears beautifully, just a little white. (Buyer beware. This product does have some parabens, but not all seven. Only two and their concentrations together is under half of a percentage of the entire formulation.) For body, I like Blue Lizard Australian Sun Screen SPF 30. Both are available on Amazon.com. 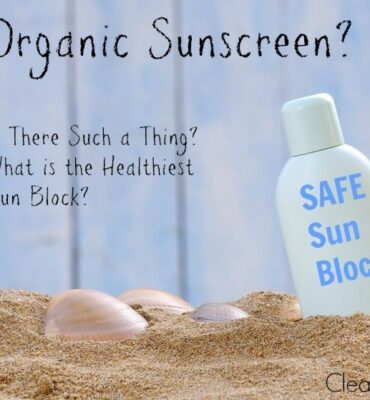 See our Organic Sunscreen Myth article for a list of ingredients we love and what to avoid. In sun care products, there are two kinds of ways to block the sun’s rays: chemically and physically. The other kind of sun protection is ingredients like zinc oxide and titanium dioxide that block the sun the way an umbrella does, physically. The allure of these ingredients is that when they are the right size they just sit atop the skin and protect us from too much sun exposure. In testing, these physical block ingredients show to be just as effective as more traditional sun block chemicals at keeping UVA rays away. The best part is that while physical blocks do offer good protection against UVB, they don’t filter UVB light out as effectively as their lab made counterparts. We like this because UVB is the bandwidth of sunlight that spurs the body to produce Vitamin D. Gotta love that. These very tiny particles could potentially end up being absorbed into our skin and then into our bloodstreams and possibly end up in undesirable places like our livers. Yikes! Scientists at Harvard and MIT have observed such a high rate of absorption of micronized particles into the skin, that they are testing the application of micronized compounds to the skin as a possible way to administer medicine. That’s some pretty serious absorption capability! The other concern about nano and micro ingredients are their stability at such a small size. While nano science is a relatively new field of study, there is one concern that has been well documented. Substances on a macro scale do not behave the same way on a micro scale. Here’s a Micron Size Comparison Chart showing common items measured in microns. Keep in mind that 1 micron is equivalent to 1000 nanometers. So while a human hair is approximately 70 micron, it’s 70,000 nanometers. For an ingredient to be even 200 nanometers, double the industry standard, it’s going to be approximately one third of one hundredth of the thickness of a human hair! (.003 of a human hair when rounding up.) Nano is teeny. 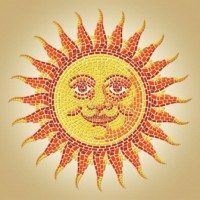 Since the FDA does not require this information on product labels, the BEST way to determine if your sunblock is of the safer ilk is to both do a quick little patch test on your arm and check with the Environmental Working Group. If your non-chemical, physical block leaves your skin a little white, then chances are it’s fine. If it disappears completely, it’s most likely micronized. Choose the one that leaves you white-ish. This means that the zinc oxide in this product has a diameter greater than 100 nanometers. This is considered an industry standard for particle size to not be absorbed into the skin. If you are choosing a sun product that has micronized ingredients, ONLY purchase products that have this indication or specifically state “non-micronized.” It’s important the greater than symbol (the >) ALWAYS indicate that the ingredient is larger than the 100 nm. (Recall from middle school math that the “alligator” wants the bigger thing so that’s what its mouth opens up to eat.) Even at this size, there are questions about safety. The Environmental Working Group is a fantastic resource, however we disagree about the safety of nano and micro ingredients such as zinc oxide and titanium dioxide. If there wasn’t a concern regarding the presence and size of these particles there wouldn’t be certain labeling practices that the EWG endorses. On their site they list several professionals with whom they consult about ingredients and practices. 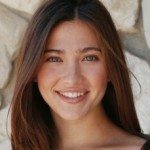 From my own research for formulating products, I’ve had the benefit of chatting with researchers at renowned facilities such as the Harvard MIT Langer Laboratory in Boston, where apparently several studies are being conducted that would contradict the safety of nano and micro zinc oxide and titanium dioxide. Apparently the issue is less the stability of the ingredient and more the size of the particle. As such, I’m officially more picky than the EWG when it comes to nano. And you should be too. One other popular ingredient to avoid is topical Vitamin A in its myriad forms. This popular antioxidant is known as retinyl palmitate, retinol, retinoid, and retin A. Dr. Mercola on Drmercola.com wrote about studies that have shown these topical ingredients to not only increase sun damage, but when on skin exposed to sun, increases the likelihood of cancerous cell development, photocarcinogenicity. These ingredients may be found in your moisturizers and prescriptions as well as your sunblock. Though it’s touted as a popular topical antioxidant, it does your skin no favors in the sun. Avoid this ingredient in its myriad names altogether for any daywear. 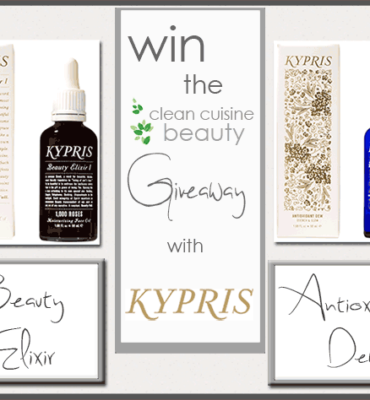 $285 Giveaway from KYPRIS Organic Beauty!